A sharp rise in the number of people making personal injury claims following a road accident has been revealed by insurance analysts. A report from the Actuarial Profession reveals that despite an 11% fall in the number of road accidents in 2011, personal injury claims rose by 18%. It says this may cost the insurance industry an extra £400m a year. The government is planning new laws to limit the amount of money that firms can make from 'no win no fee' cases. The legislation, announced in March 2011 by Justice Secretary Ken Clarke, would prevent lawyers claiming "success fees" from the losing side. Instead they would receive a share of the damages. The proposals follow a review carried out by Lord Justice Jackson in 2010 at the request of the previous government. The legislation also aims to prevent insurance companies and others from passing on motorists' details after an accident. High petrol prices, resulting in fewer journeys, has been cited as the main reason for the 11% fall in motor accidents last year. The actuaries said that a higher proportion of people involved in these accidents are making claims for personal injury, such as whiplash. 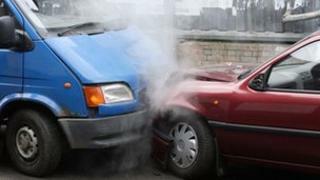 BBC legal correspondent Clive Coleman said that increases in the number of claims could result in higher insurance premiums. He added that the report builds on an earlier one from the same organisation which shows a clear correlation between injury claim hotspots and the location of claims management companies. Actuaries compile and analyse statistics and use them to calculate insurance premiums.